How to keep furniture clean? Buying high quality, expensive and unique furniture is one thing, keeping the furniture clean and in good condition is quite another. A lot of people buy furniture everyday around the world but not everyone is capable of keeping it well. Keep the furniture clean can sound as a daunting task but it isn’t all that difficult. Keeping the furniture in good condition, tells a lot about you as a person and it increases the life of the furniture reducing you costs on the longer run. 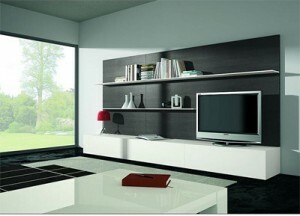 Even before you decide to clean the furniture; it is critical to determine what type of furniture it is. If that beautiful bed you bought last year is made of wood then it may be helpful to understand what kind of finish it has. There are many kinds of cleaners and conditioners available in the market that help retain the shine of that wooden marvel. Oak-k-dokey is my personal favorite wood cleaner and polish retainer. It helps you clean any kind of wooden surfaces including beds, cabinets, shelves and tables. It is a multi-pack and is only available with select retail furniture shops. If you have a leather sofa then over the period of time it may dry out and cracks can crop up. To take extra care of the leather, it is highly advisable that you do not expose the leather to direct sunlight and keep it away from any kind of heat. Dusting may be a regular chore of everyone’s house but leather furniture needs it all the more. After dusting, always use a soft moist cloth to clean the sofa’s leather. How to keep furniture clean is not a question to worry about as long as you understand the furniture well. This entry was posted in Furniture and tagged how to clean furniture, How to Keep Furniture Clean, how to keep furniture in good condition, leather sofa. Bookmark the permalink.